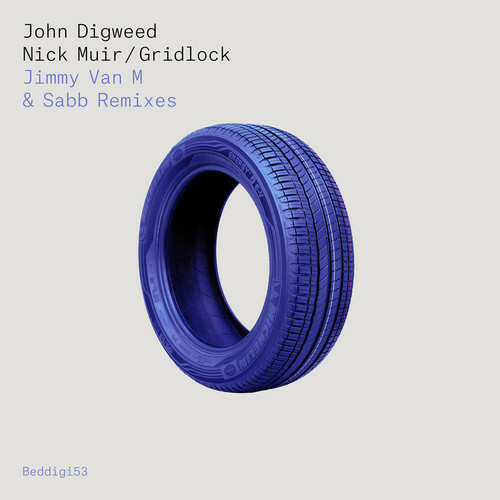 John Digweed & Nick Muir’s classic “Gridlock” will go down forever as a formative track for the modern progressive sound. Jimmy Van M and Sabb give it the remix treatment. In the package we get two remixes “3am” and “7am” mix, so no prizes for guessing where Van M the man and Sabb are heading here. The track starts off quick, melodic, and catchy. Using simple samples from the original in pad work and percussion, the similarities are apparent instantly. The groovy sub bass has more of a tech-prog feel to it, kind of crossing between the two genres like so many other artists have been doing these days. The breakdown is sonically big roomish, with all the gushy, swirling pads from the original, surrounding the listener. The buildup to the main drop just builds and builds for huge anticipation. With the drop, everything from the melodic progressive climax of the original comes through in a fresh light: and that new techie bass adds a much more exciting vibe to it. This is modern big tech vs classic and make no mistake, it’s going to smash the dancefloor. Looks like Beirut has been kind to Jimmy whose sound seems to have moved to another level. Such good stuff! The 7am remix is gorgeous. Reminiscent of the current work of labels like Sudbeat, Clinique, and Lowbit, you hear a faster paced, more complex arrangement, that is meant clearly to drive all the late night clubgoers. The bass has a beautiful deep, rolling, huge enveloping feel to it, similar to artists like SQL, Mohn (NL), and even Ramon Tapia to an extent . The song once again chooses to focus on a few mid range instruments to carry the track’s groove: here we see a little bellish/square synth riff that is catchy, not too experimental, and easy on the ears. Interesting to note is how Van M and Sabb still keep the song’s structure short and sweet, with little inclination to the long, progressive builds the original was founded on. It’s a great complement to the package.